Floyd County Prosecutor Keith A. Henderson was a participant during a lecture held in Clarksville, Indiana on Friday, February 11, 2011 on issues surrounding prescription drugs and pain management in primary care. The event was attended by local area physicians and was accredited by the Indiana State Medical Association as a continuing medical education credit. Indiana Attorney General Greg Zoeller was also a presenter, as well as Pain Medicine Specialist and Anesthesiologist James P. Murphy, M.D., Pain Medicine Specialist Michael Cassaro, M.D., J.D., and Josh Klatte, the Director of Indiana’s Prescription Drug Monitoring Program (INSPECT). Prosecutor Henderson spoke to the growing problem of prescription drug abuse in the local community as seen from the perspective of law enforcement. He described pharmacies as the “new jewelry stores” in terms of the relative wealth available to would-be criminals who seek to illegally obtain prescription drugs to sell on the street. Many pills (e.g., oxycodone) have a street value many times greater than the cost of the prescription. Data from the 2007 Uniform Crime Reporting Program shows Floyd County leading the State of Indiana in arrest rates for the sale of barbiturates and Benzedrine, with a rate of 1.4 arrests per 1,000 population. Floyd County is ranked second in the state for arrests for the possession of these same drugs, with a rate of 1.22 arrests per 1,000 population. 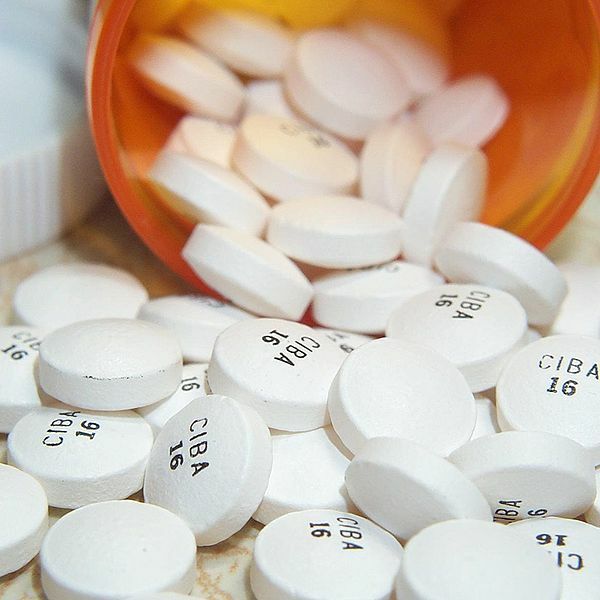 From a street-level perspective, opioid-based pain medications such as oxycodone (OxyContin) and hydrocodone (Lortab) are the most frequently abused prescription medications; these are followed by central nervous system depressants, such as barbiturates and benzodiazepines (Xanax, Klonopin), and stimulants (Adderall, Ritilin). Illegal methods for obtaining prescription medications include receiving, purchasing, or stealing medication from family or friends; by receiving extra amounts of medication when physicians overprescribe; through “doctor shopping”; illegal online pharmacies; and from burglaries of residences and pharmacies. Those who are legally prescribed medications, especially seniors, should be aware of the value of these prescription drugs, and take care that their medicine is secured in a safe place. Over 1 million Hoosiers reported that they had misused psychotherapeutics at least once in their lifetime (20.7 percent), according to a 2009 Indiana Epidemiological Profile on the consumption and consequences of alcohol, tobacco, and other drugs that was developed by the Indiana State Epidemiology and Outcomes Workgroup and published by the Indiana University Center for Health Policy. Among Hoosiers over 11 years of age, 2.7 percent (138,000 residents) reported current or past-month abuse of psychotherapeutics, and 7.6 percent (383,000 residents) admitted to abusing prescription medications within the past year. For Hoosiers age 12 and older, non-medical pain reliever use was 6.2 percent during the last year–a rate significantly higher than the United States average of 5.1 percent for the same demographic. Young Indiana residents age 18 to 25 had the highest rate of past-year non-medical pain reliever use at 15.5 percent and exceeded the nation’s average of 12.3 percent.